What is shiny and brown and fit for the crown? Why, this shiny and brown BMW Alpina B7 to take into town. 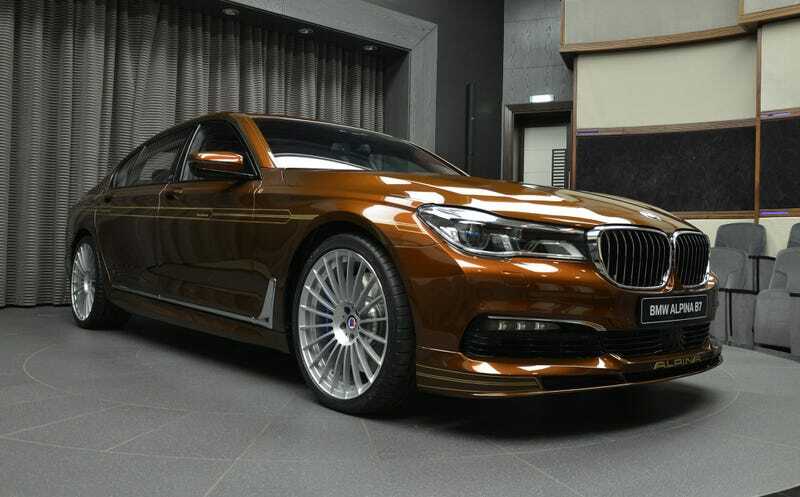 BMW Abu Dhabi Motors just posted images of this “Chestnut Bronze” BMW Alpina B7, evidently a one-of-one special edition, and it sure is special. As brown cars go, this is a very good brown car, with the golden Alpina pinstriping and the big nice Alpina wheels, yes, good brown car. Damn! Nice brown! Alpina continues to drive me absolutely crazy.